The Bau Cannas villa lies just fifty meters from the beach. Settled upon a dune and surrounded by juniper trees, the house affords its visitors breath-taking views of the sea. 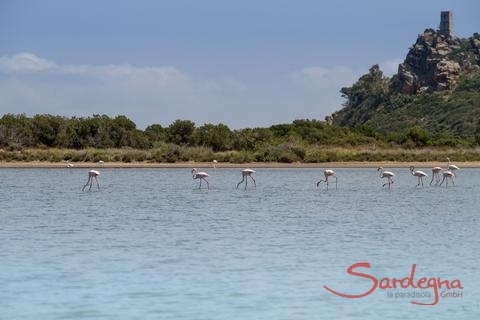 Some of the most beautiful Sardinian countryside can be found here: undeveloped, sandy beaches, hilly backcountry, even lagoons with flamingos. 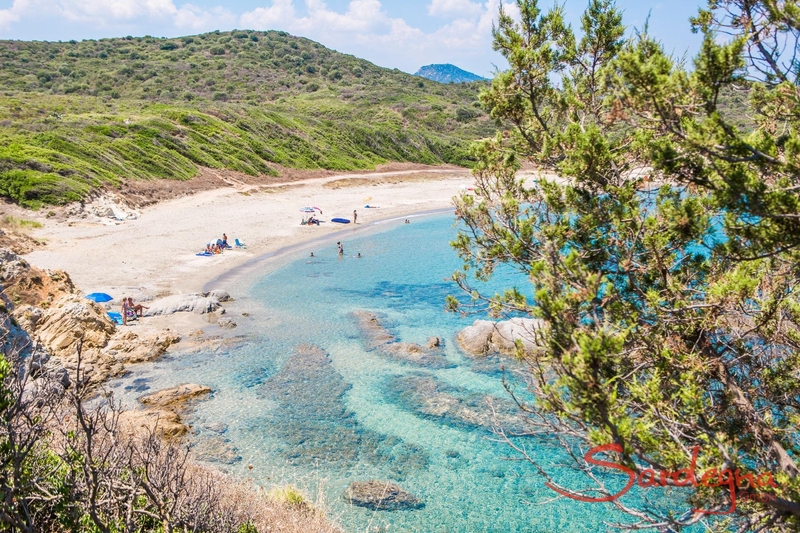 The beautiful beaches stretch to Capo Ferrato, a rocky cape with its own lighthouse and protected natural landscape. A private footpath leads guests directly from the house to the beach in just a few steps. 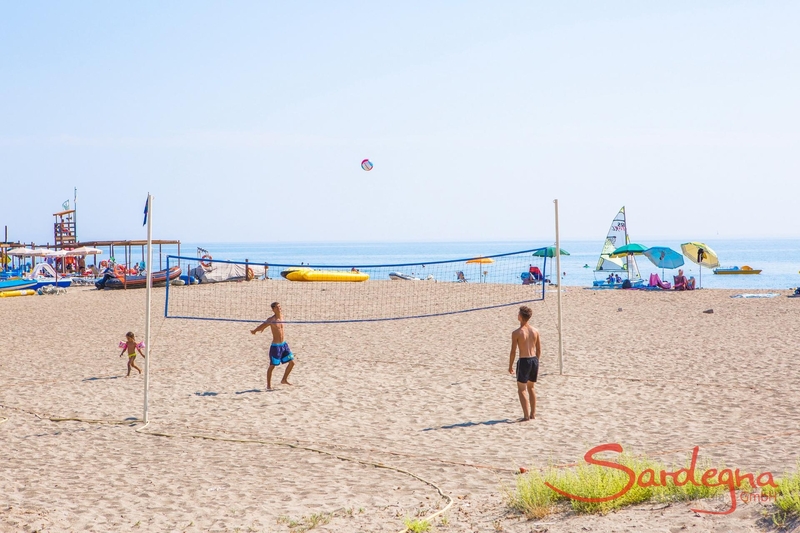 Even in the high season, this area is rarely crowded. Because of its southwesterly setting facing the sea, the house and its terrace are bathed in bright and cheerful light all day long. 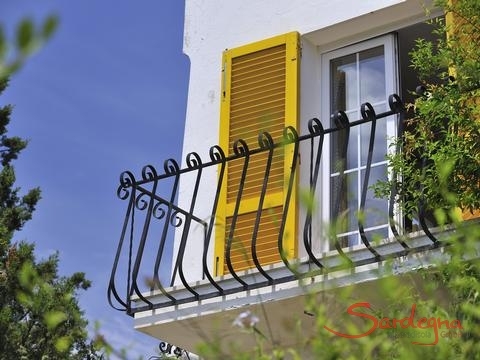 The furnishings of the house are well suited to a large family, having been lovingly chosen by the villa’s owners. The living-room has a seating area around the cozy indoor fireplace and a dining-table near the windows facing the sea. 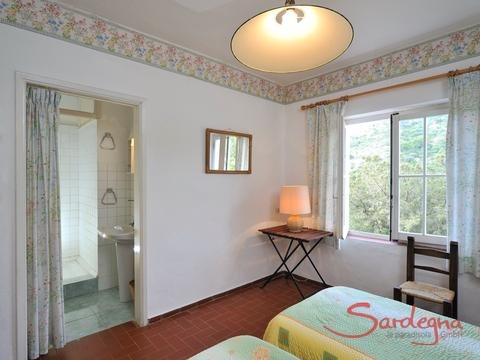 All three bedrooms have double beds and each has an en-suite bathroom - two with a shower, the other with a bath and a shower. The nicest room in the house, the upstairs bedroom, has a small balcony where your gaze can drift out over the length of the beach. There is an outdoor shower and a built-in, brick barbecue in the garden. From the reed-covered Mediterranean terrace you look out over the well-preserved garden. A hammock is suspended between two knobby juniper trees. Here is a place for dreaming and celebrating, for looking and listening, and for enjoying the wondrous natural views that the scenery provides. 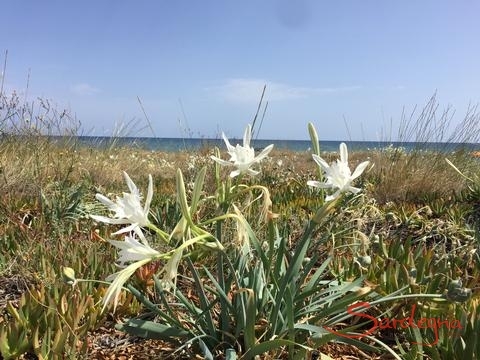 The fantastic isolated setting of this house guarantees you undisturbed privacy and the seclusion necessary to enjoy true peace and quiet on holiday. 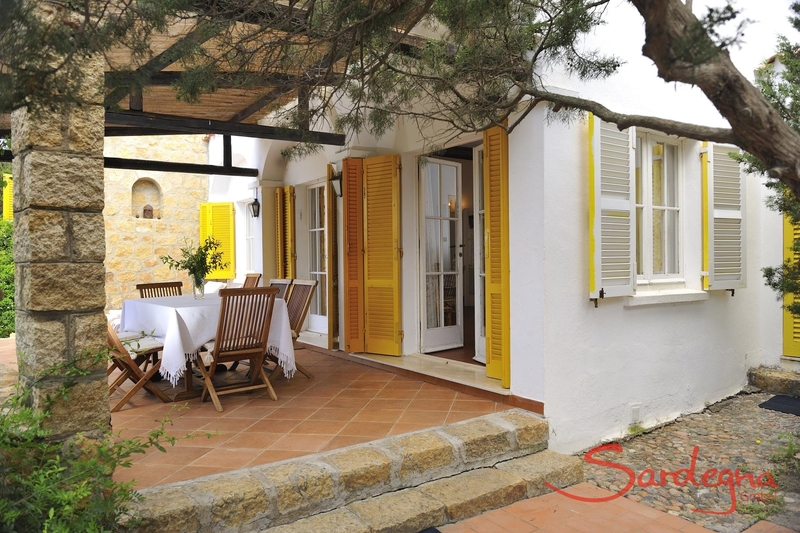 Enjoy the video of villa Bau Cannas. Within walking distance lies a small restaurant where you can enjoy local meals and the occasional breakfast. 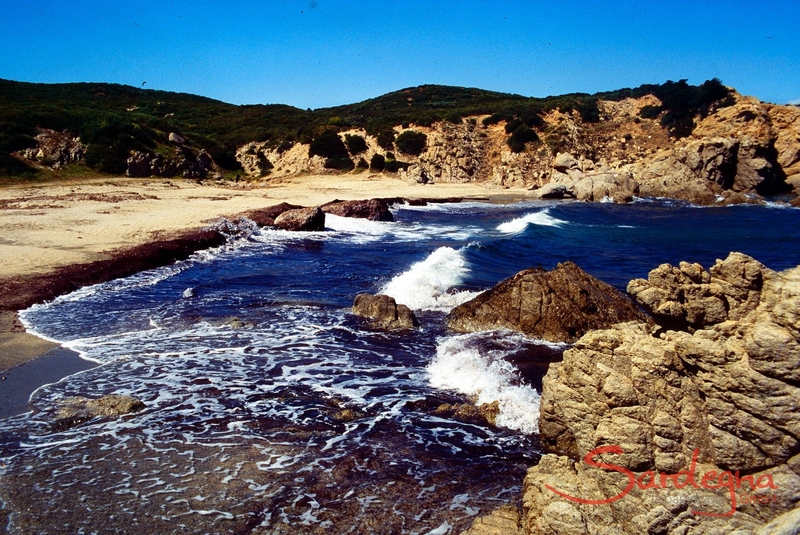 The fishmongers of San Priamo, a short 2km away, offer fresh caught fish daily. 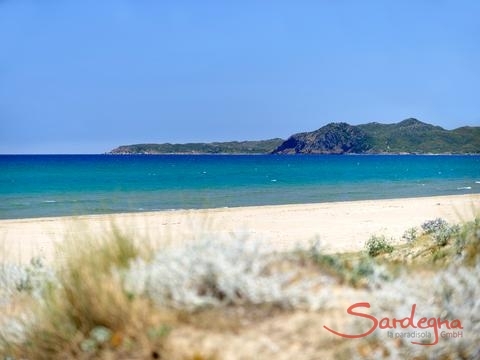 In Muravera, 8 km away, you will find all sorts of shops including sophisticated Italian designer boutiques as well as shops with wonderful Sardinian handicrafts. 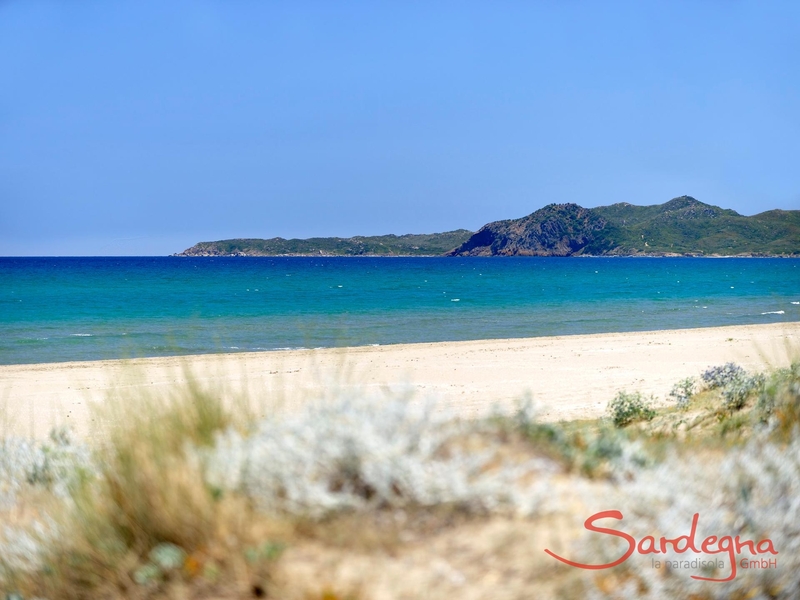 Don’t miss the chance to poke about the stores offering pottery and traditional Sardinian woven cloth. The weekly market is held on Mondays all year round. 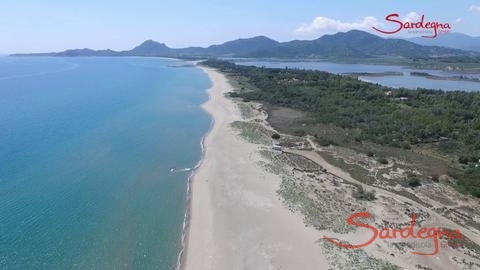 The beaches at Feraxi, <?xml:namespace prefix = "st1" ns = "urn:schemas-microsoft-com:office:smarttags" />Cape Ferrato and Costa Rei are also close to the villa. 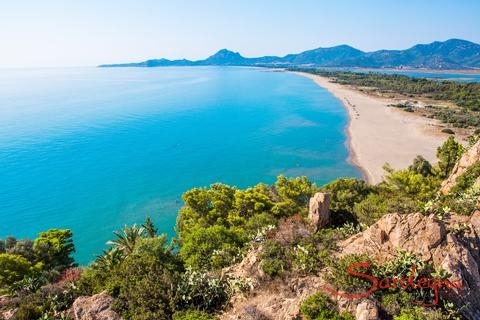 Cagliari and the airport are one hour away by car. 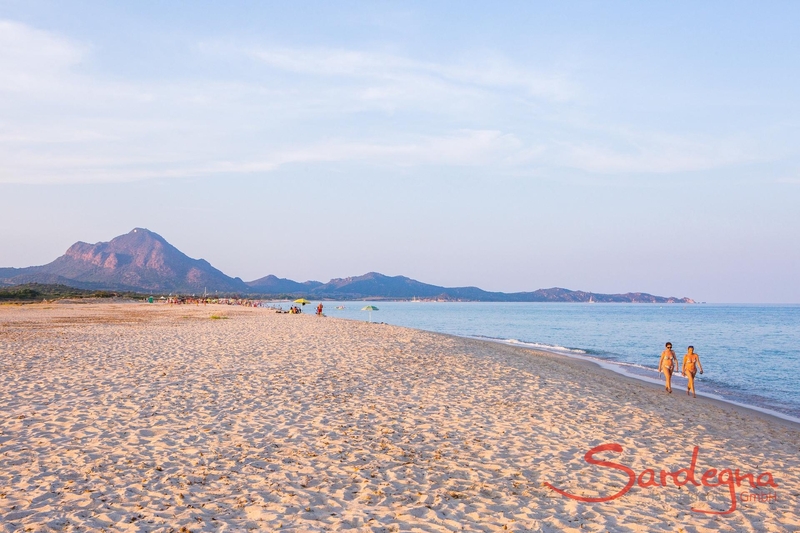 Picturesque beaches without the crowdsThe Bau Cannas villa lies just fifty meters from the beach. 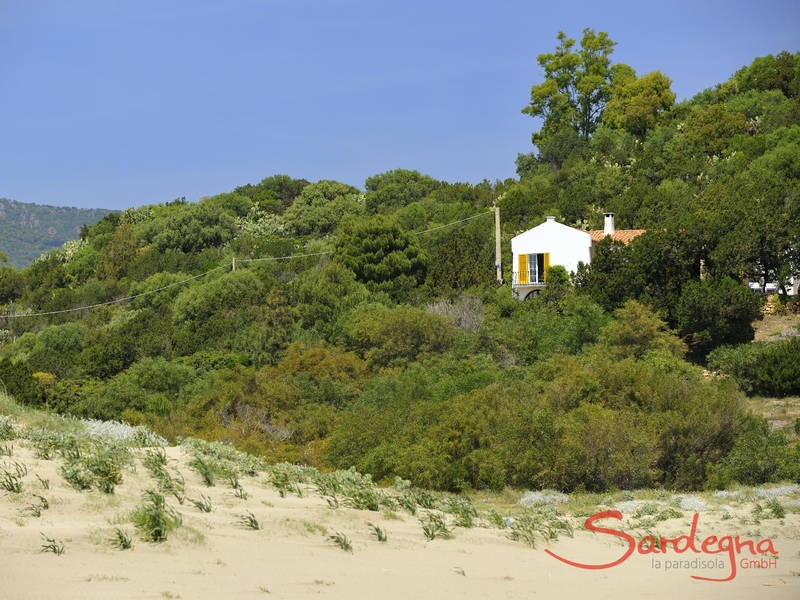 Settled upon a dune and surrounded by juniper trees, the house affords its visitors breath-taking views of the sea. Some of the most beautiful Sardinian countryside can be found here: undeveloped, sandy beaches, hilly backcountry, even lagoons with flamingos. The beautiful beaches stretch to Capo Ferrato, a rocky cape with its own lighthouse and protected natural landscape. 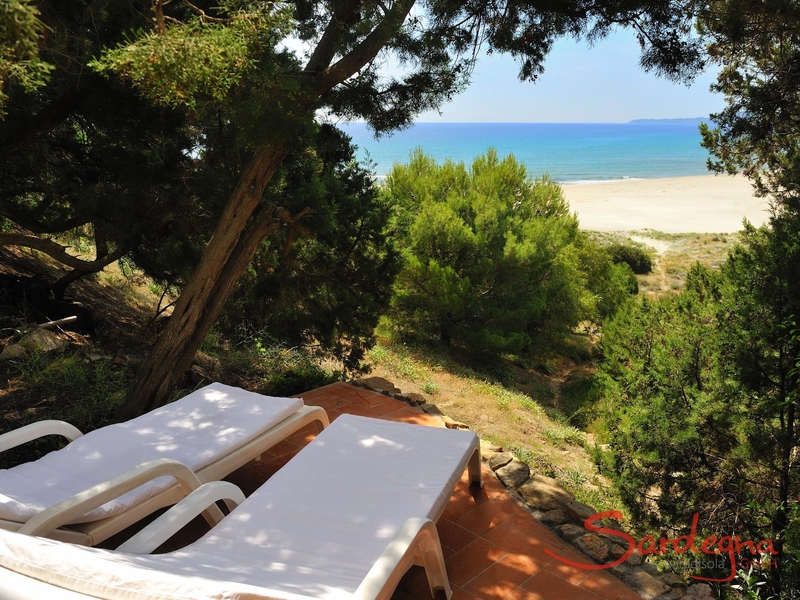 A private footpath leads guests directly from the house to the beach in just a few steps. 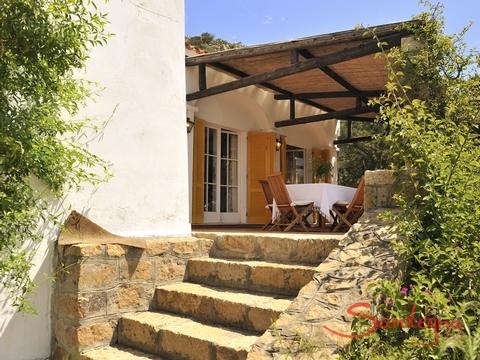 Even in the high season, this area is rarely crowded.Sun and light the whole day longBecause of its southwesterly setting facing the sea, the house and its terrace are bathed in bright and cheerful light all day long. 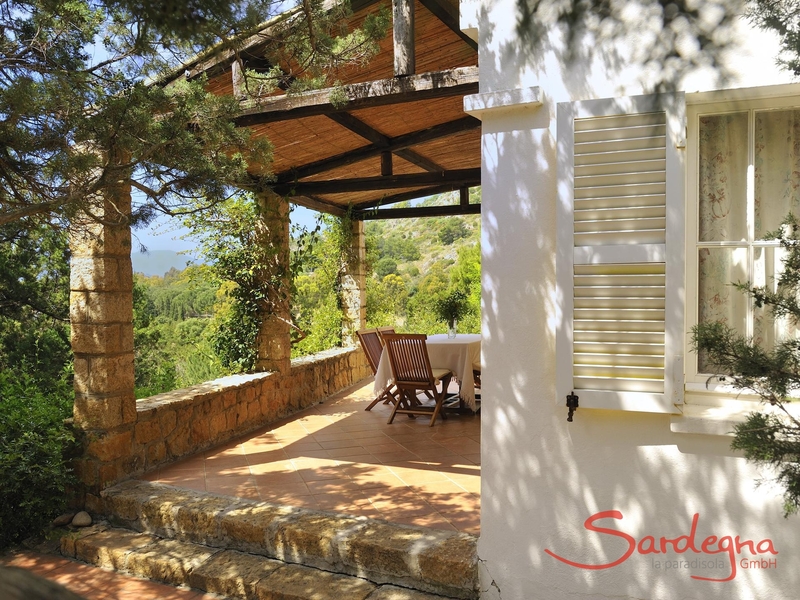 The furnishings of the house are well suited to a large family, having been lovingly chosen by the villa’s owners. 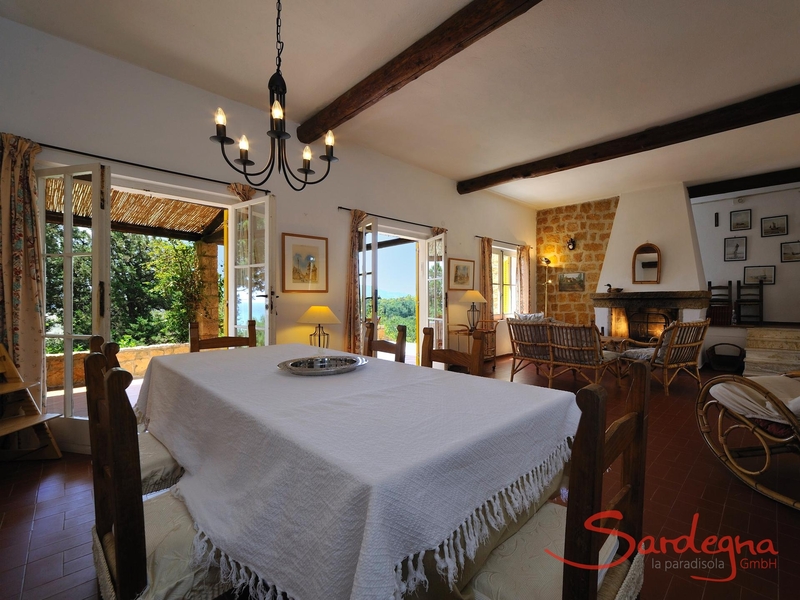 The living-room has a seating area around the cozy indoor fireplace and a dining-table near the windows facing the sea. 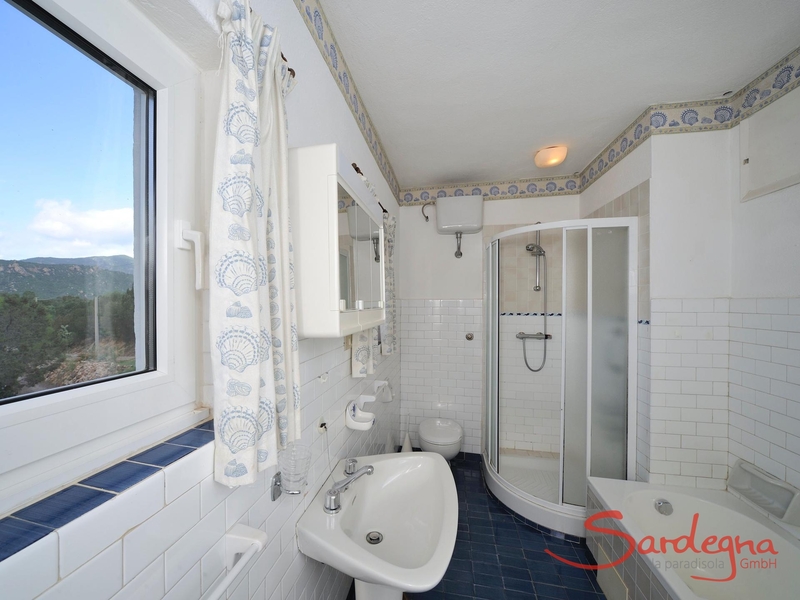 All three bedrooms have double beds and each has an en-suite bathroom - two with a shower, the other with a bath and a shower. 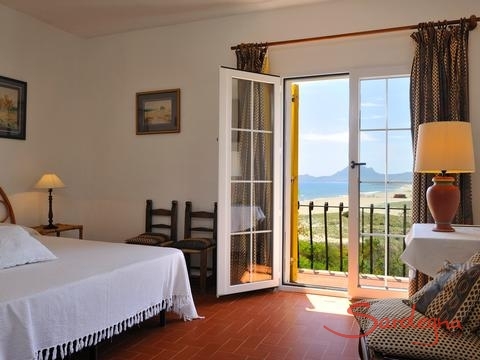 The nicest room in the house, the upstairs bedroom, has a small balcony where your gaze can drift out over the length of the beach. There is an outdoor shower and a built-in, brick barbecue in the garden.From the reed-covered Mediterranean terrace you look out over the well-preserved garden. A hammock is suspended between two knobby juniper trees. Here is a place for dreaming and celebrating, for looking and listening, and for enjoying the wondrous natural views that the scenery provides. 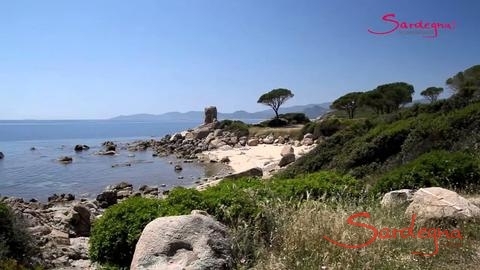 The fantastic isolated setting of this house guarantees you undisturbed privacy and the seclusion necessary to enjoy true peace and quiet on holiday.Enjoy the video of villa Bau Cannas.In the areaWithin walking distance lies a small restaurant where you can enjoy local meals and the occasional breakfast. The fishmongers of San Priamo, a short 2km away, offer fresh caught fish daily. In Muravera, 8 km away, you will find all sorts of shops including sophisticated Italian designer boutiques as well as shops with wonderful Sardinian handicrafts. 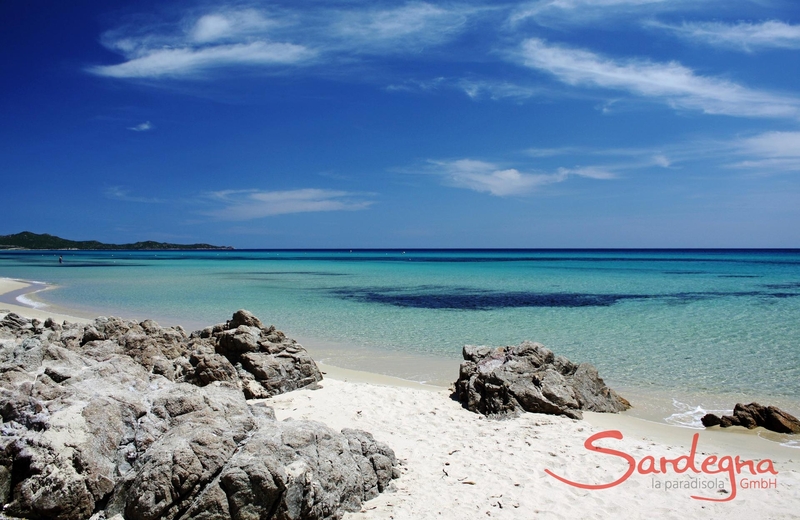 Don’t miss the chance to poke about the stores offering pottery and traditional Sardinian woven cloth. The weekly market is held on Mondays all year round. The beaches at Feraxi, Cape Ferrato and Costa Rei are also close to the villa. 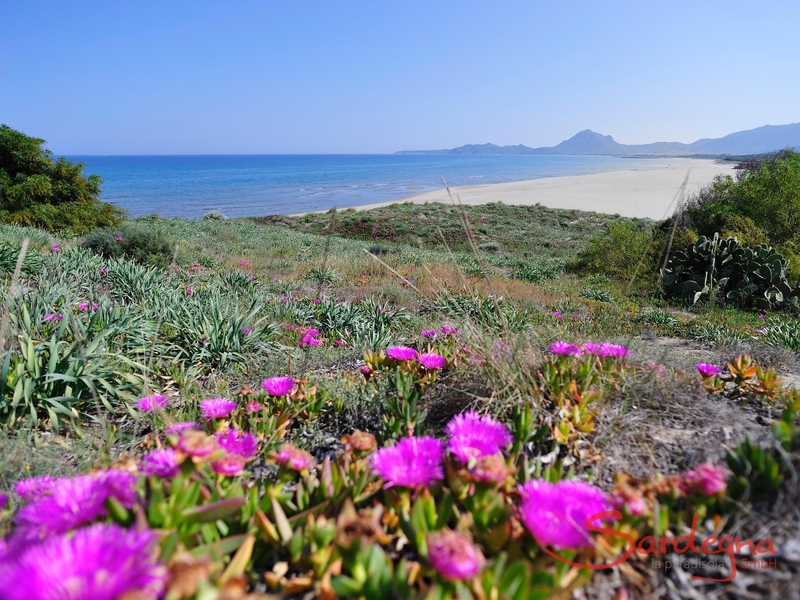 Cagliari and the airport are one hour away by car.